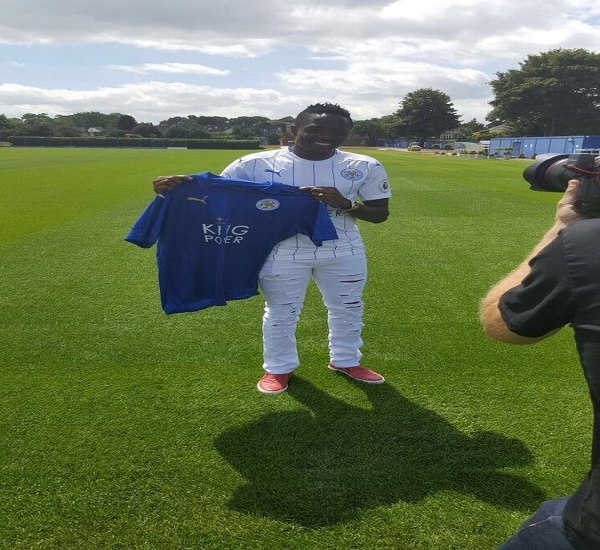 Nigeria international and former CSKA Moscow’s forward Ahmed Musa, has finally signed a four year deal with English Premiership champions, Leicester City, on Friday. The 23-year-old international completed his move with a reported fee worth about £16 million after passing his medicals. Already personal terms between Musa and his new employers have been agreed paving way for the move. Musa joined CSKA in 2012 and has scored 54 goals in 168 games, and has 11 goals in 58 appearances for Nigeria since making his first appearance in 2010. Having made his debut for Nigeria at the age of 17, Musa went on to make appearances in the World Cup, Under-20 World Cup, Africa Cup of Nations and Confederations Cup in a six-year long international career that continues to show promise. The English champions are expected to announce the capture of the Nigeria winger, later on Friday barring any hitch. “Leicester City is delighted to announce that they have reached an agreement for the transfer of striker Ahmed Musa from CSKA Moscow for an undisclosed fee, subject to Premier League and FA approval. “The Nigeria international frontman, 23, has signed a four-year deal with the Premier League champions and is set to become the Club’s fourth signing of the summer, following the arrivals of Nampalys Mendy, Ron-Robert Zieler and Luis Hernandez.” The Leicester City website said. Musa spoke to the Foxes Player HD : “I feel very happy joining Leicester City, for me it’s one of the best clubs and I feel very happy. I joined because it’s one of the best clubs in the Premier League and they are like a family. That’s why I joined Leicester City and I’m very excited. “I look forward to seeing the fans in the new season and I will do my best to make them happy.” He said.